When you take up your ideal close-quarters combat weapon for a zombie apocalypse, you do not have to weigh yourself down with claymores and spears. 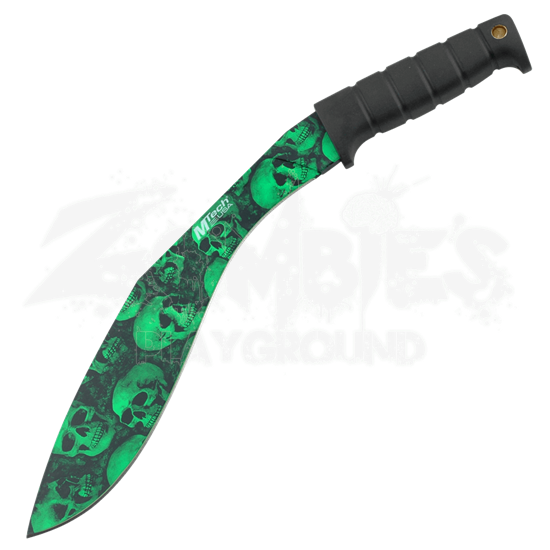 Instead, consider this Green skull Bladed Kukri, which is every inch an impressive little zombie slayer. At its core, the kukri is a time-tested design that has proven, again and again, its brutal effectiveness. The forward slant and leading edge of the blade make this little weapon a lethal implement for slashing and hacking, one that will not fail to disappoint when it comes to scything through the opposite. 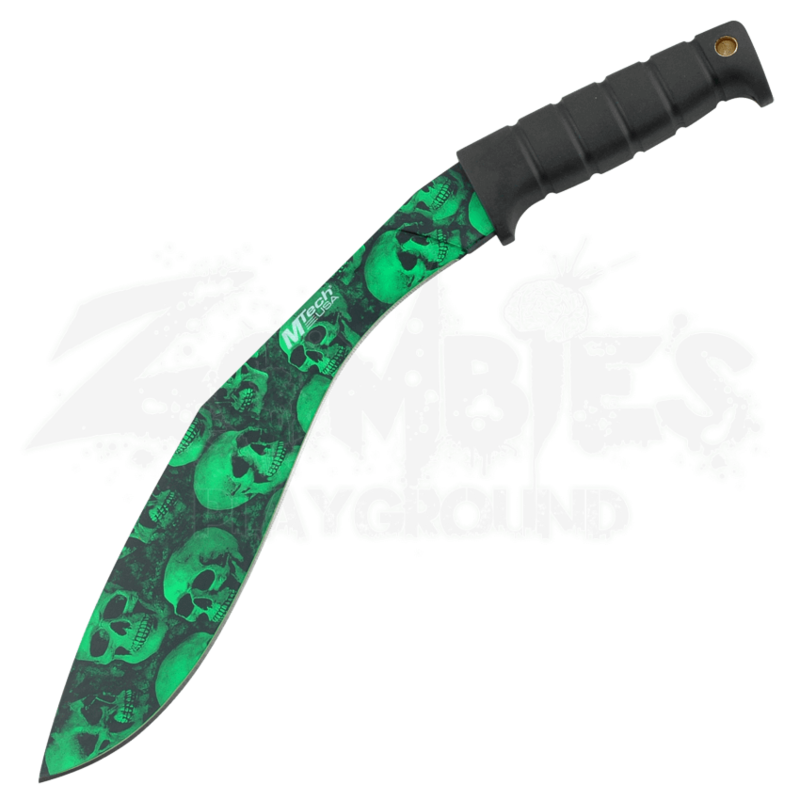 This kukri blade is crafted entirely from 440 stainless steel that is coated with a vibrant, green camouflaged skull pattern, to lend it a more gothic and gory look befitting an apocalyptic setting. The knife also features a rubberized handle that offers an all-around secure and solid grip. Included with the kukri knife is a nylon sheath that is perfect for keeping the blade safe and secure when it is not in use. The cool skull pattern makes this one heck of a blade to look at, while the hardy construction means that when the dead do rise, this Green Skull Bladed Kukri is also a handy weapon that you can take off the wall and use to carve yourself a path to safety.